This is the “response” to Ben Stone 2012, in which I create a sort of social sarcasm about current events. 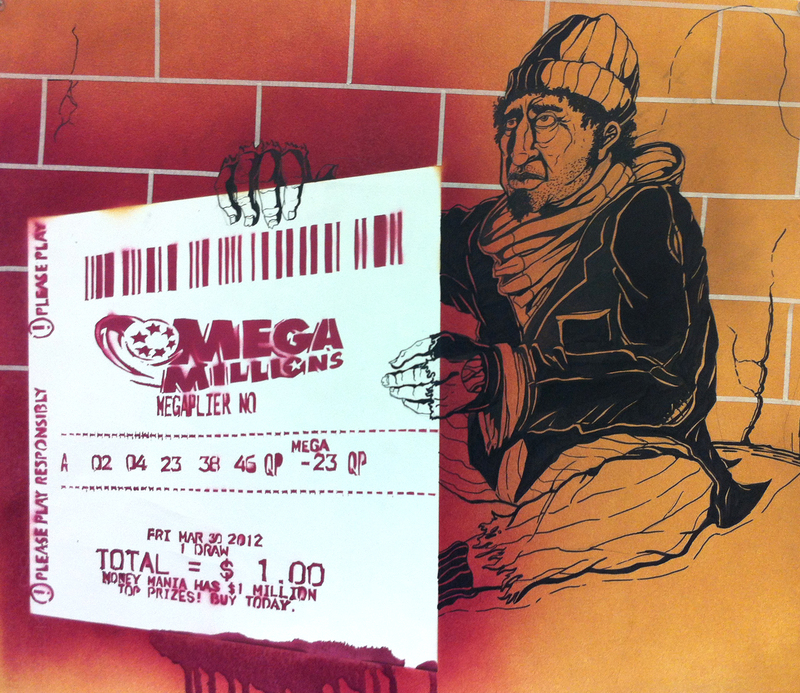 This time, I created a stencil of a winning lottery ticket from the March 30th $640 Million Dollar Drawing. The vibrant ticket overshadows the character in the back, the impoverished man. Its a statement on the absurdity of what money can do to people, and how shallow our sights can become.